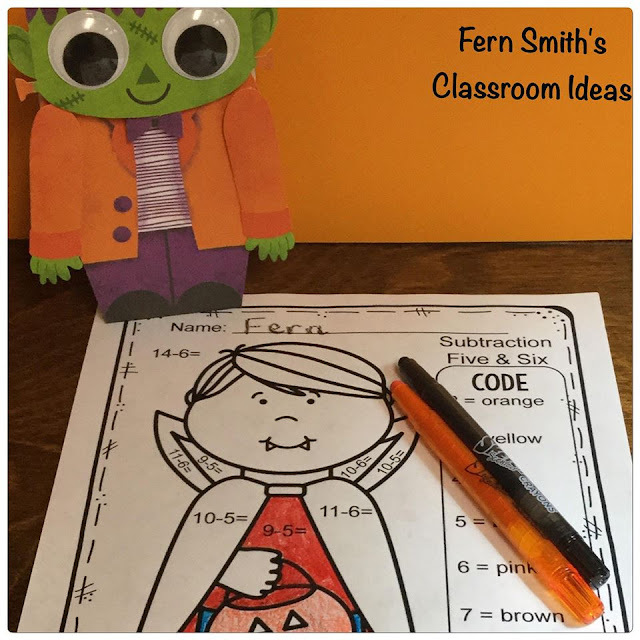 Color By Numbers Halloween Costumed Kids Addition and Subtraction Bundle - Fern Smith's Classroom Ideas! If you have followed me for some time, you might knew that I love Halloween!! It is the one time each year a little boy really thinks he's Superman and little girls really think they are Batgirl! 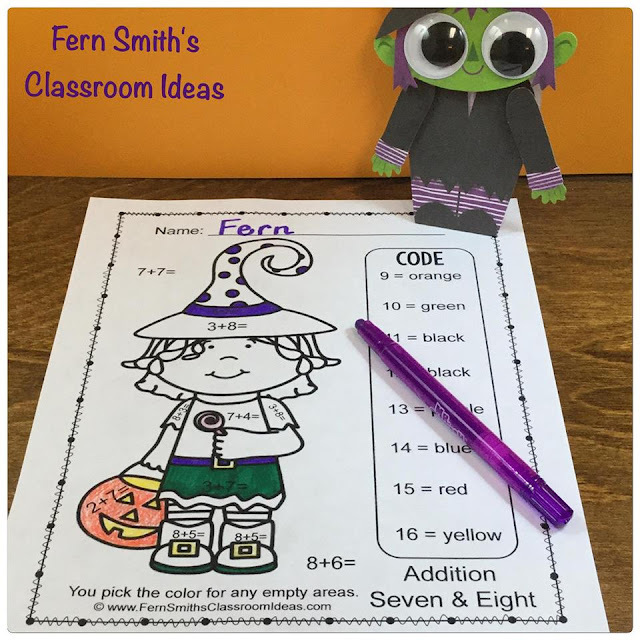 I have tons of fun Halloween items for your class, click here to see everything. 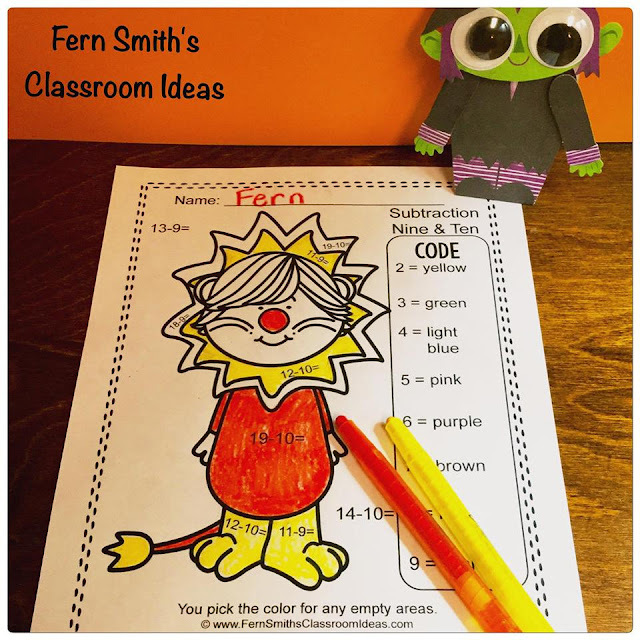 Fern Smith's Classroom Ideas Color By Numbers Halloween Costumed Kids Addition and Subtraction Bundle at TpT. 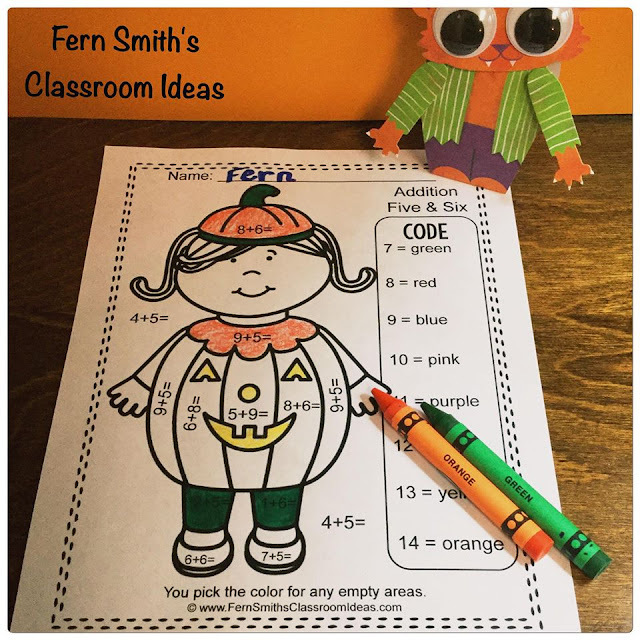 TEN no-prep printables that can be used for your math center, small group, RTI pull out, seat work, substitute days or homework, the ten answer keys are included too! 1. 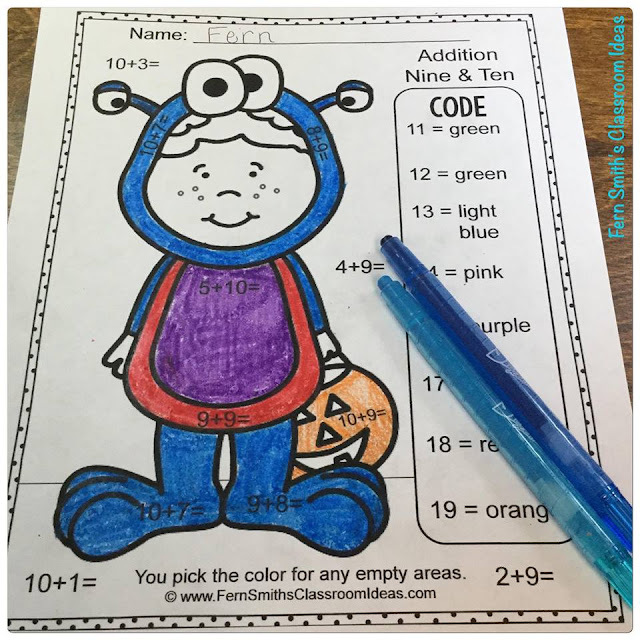 Addition - Color By Numbers Halloween Costumed Kids Addition! 2. Subtraction - Color By Numbers Halloween Costumed Kids Subtraction! Click on any of the above links to buy that resource separately. 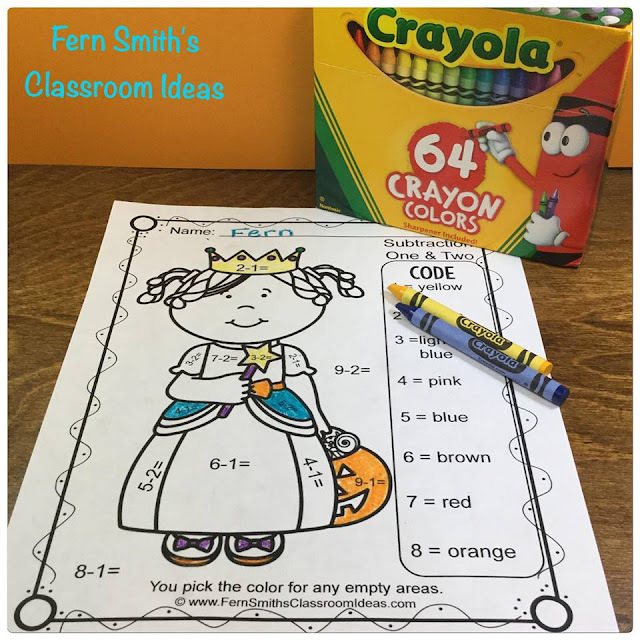 Fern Smith's Classroom Ideas Color By Numbers Halloween Costumed Kids Addition and Subtraction Bundle at TeacherspayTeachers. Follow me here and at TpT to receive notification of new resources and freebies! Have a great weekend! My students love color by number! These look great!